Motherhood – What kind of Job is this? Motherhood is the most incredible, joyful, mind-blowing, creative, inspiring, insightful, educational, exhausting, adventure! If anybody offered you a job with this many hours and so much responsibility you say they were unrealistic. When it comes to creating the next generation, no one can prepare us for the river of hormones, thoughts, fears, fantasies, excitement, games, demands and playfulness. Not even our mother will have the up to date digital knowledge of these amazing human beings, your relationships, compassion, kindness, open mindedness, emotional literacy, curiosity and needs you are taking care of. This is THE BEST TIME to learn mindfulness for Pregnancy, childbirth and Parenting! We are in training from the moment we are born. We have a certain amount of reptilian hardwiring, but in today’s world this is not enough. We all need to train in a skill to know with this new relationship with our selves and our new World. New You! Surviving and/or thriving; parents, school, college, Uni and work. Search and learn about relationships with people we want to spend time with. Search and train for and in a job/career. Searching and finding where we want to live. Search and learn ways to train our bodies in exercise: triathlon, marathons, Yoga etc. Search and develop a trusting relationship with someone you want kids with. So why won’t we train ourselves in resilience to cope with the most challenging, heartwarming, creative, amazing, exhausting lifelong job of all! For one thing, this is a time when most people have a strong motivation to become the best person they can be in a relatively short period of time. When you realize the full enormity of the responsibility you have taken on by becoming parents, the primary source of care for another whole human being, not to mention one that you love more than you thought you could ever love, there is a really high level of motivation to try your best to get yourself into the best mental and emotional shape possible. I’ve talked and worked with so many pregnant women who have for the first time in their lives encountered within themselves a deep and very sweet drive to learn new ways of being. They don’t want to pass on negative patterns to their child, and want to do everything possible to transmit a healthy foundation for the rest of their child’s life. It’s not uncommon for new mothers to feel overwhelmed as they adapt to the myriad changes that becoming a mother requires. Adjusting to becoming a family, loss of pre-baby freedom, change in our relationship with our partner and functioning on little sleep are all aspects of a shifting identity that emerge during this time. As women and men become acquainted with their new maternal roles, they often grieve the loss of their former selves. Unfortunately, society reinforces the message that we can somehow reach into the past and “get back” our “pre-baby lives,” which inevitably communicates that we can erase the present and return to the past. I’ve met with many mothers who express a deep desire to resume working, cleaning, cooking, exercising, etc. as they did before their little ones arrived. Yet when we internalize these messages, we put a lot of pressure on ourselves to keep up with the running “to-do list” that often contribute to a bad case of preoccupied mommy brain. While we all have thoughts that inevitably distract us from the present moment, identifying some meaningful ways to remain present with your newborn, yourself, and partner can feel incredibly grounding, calming and supportive during this transformative and meaningful time. One of the ways we can remain present is to begin practicing the life-skills of mindfulness. Simply stated, mindfulness refers to paying attention, on purpose to the present moment and responding with self-compassion and kindness to the difficulties and pressures, Like changing weather. Contrary to what many new parents may believe, several meditation teachers have identified pregnancy and the postpartum period as an optimal time to begin a mindfulness practice. At the UCSF Osher Center in San Francisco, California, mindfulness teachers and researchers, Nancy Bardacke, C.N.M. (founder of Mindfulness-Based Childbirth and Parenting) and Larissa Duncan, Ph.D. found that parents who cultivated a mindfulness practice before their babies were born reported lower incidences of stress, anxiety and depression during pregnancy and the postpartum period (Duncan & Bardacke, 2010). MBCP teaches us how to work wisely with our hormones, bodies and minds to reduce the pain and suffering pregnancy, childbirth and parenting. I helps us develop the skills of working as a team and reduce the possibilities of feeling overwhelmed and low mood for better attachment and attunement to our baby and our relationships. Belinda found mindful meditation during birth and parenting “A life Saver!” Belinda has since trained extensively in MBCT, MBSR, Nurturing Parenting and continues with her daily practice of mindfulness. Since that time, Belinda has taught extensively about Mindfulness based stress reduction, cognitive therapy and paarenting and is working with Bromley and Lewisham Mind’s Mindful Mums project. Mindful Breathing: While feeding your baby, it may be tempting to watch TV, check email, or play on your smartphone, but it’s also a great time to focus on the baby or focus on your breathing by simply paying attention, on purpose to your breath. Mindful Walking: When you are out with your baby, it’s a wonderful time to practice mindful walking by paying attention to your steps – either by counting them or coordinating them with your breathing. We can remind ourselves that parenting/mothering means simply putting one foot in front of the other and taking one step at a time. 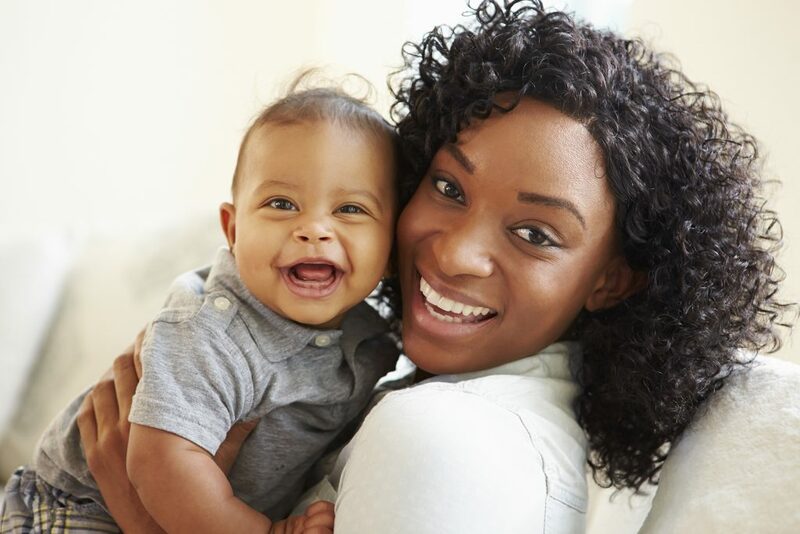 Loving Kindness: The early days and months of motherhood are a time when a lot of your attention is focused on your baby. And while many people encourage you to “enjoy every moment,” there are many moments and sensations that emerge during your motherhood journey. Belinda reminds us that any moment can be an opportunity to practice informal mindfulness and bring our attention back to the present moment. Like when you put the kettle on, are winding the baby, drinking a cup of water, washing up, or taking a shower. Sharon Salzberg tells a great story about a wise old woman who was caring for so many children that she had no time to meditate. Salzberg asked her how she was so mindful, and she replied that when she stirred the rice, she did it mindfully. The point is that at any time, we can choose to give our full attention to whatever we are doing at that moment. 1-2-1 coaching and courses available now!